Mahe’o called Clarence Joshua Brien Ma’heonono’soohe (Medicine Dancer) home on November 4th, 2018 at the age of 40, due to a long illness. He was born in Sheridan Wyoming on October 18th, 1978 to Eva Foote and Ronald Bruce Brien. 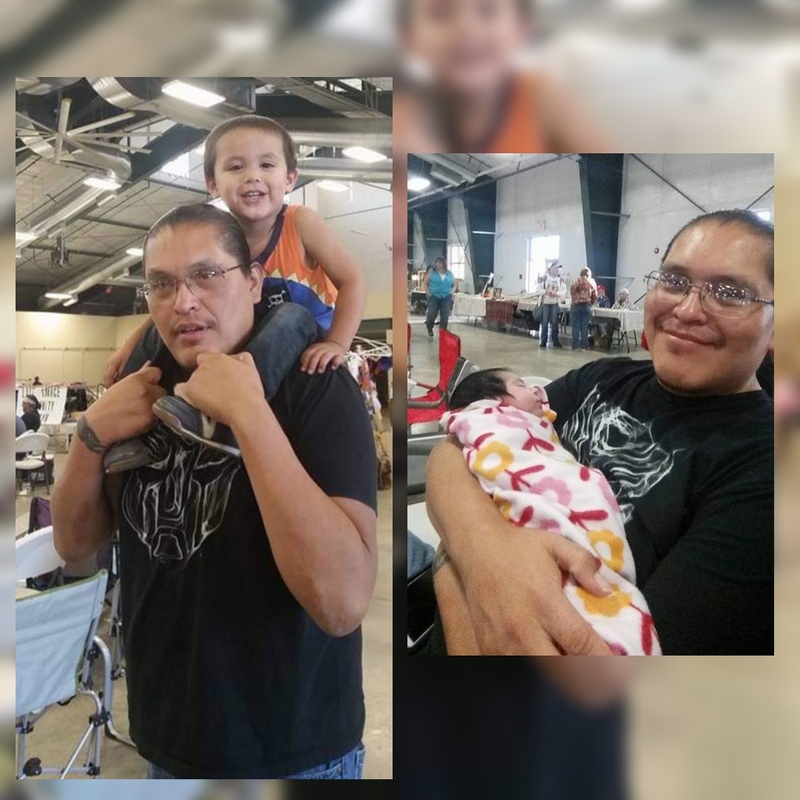 Joshua grew up both on the Northern Cheyenne and Crow Reservations, but his home was always the Northern Cheyenne reservation. He went to school at Lodge Grass and Lame Deer, where he graduated in 1997. He then went to Job Corp and graduated as a diesel mechanic & heavy equipment operator. He also was recently attending Chief Dull Knife College for his Business degree. He enjoyed powwows, camping, hanging out and visiting with all his friends. He liked to travel but not the driving part. His favorite teams were the Dallas Cowboys and Bobcats. Joshua had a big heart and was loved by many. Joshua is survived by his mother Eva Foote, adopted mother Erica Aguiluz, father Kenneth Brien, maternal grandmother Edna Seminole, Uncles Winslow WhiteCrane (Charlotte), Vincent WhiteCrane (Clara Ann), Verlin Foote, Robert Brien III, Woody Brien, Mathew Emigh, Curtis Brien, Danny Brien, Eric Brien, Larry Dean Brien, Vernon Brien and Harold Brien. Aunts, Connie Wolcott, Lucille Brien Whitehip, Charlotte Tallbull White Crane, Zipporah TallBull, Rebekah TallBull, Sherri Brien, Barbie Brien, Colleen Brien, Bobaleen Brien and Valorie Brien. Brothers, Corey Spottedelk (Shannara), Ron Brien Jr, Kenneth Bruce Brien (Mariah), adopted brothers John and Eric Aguiluz, and adopted sister Loyreen American Horse and Fern Standingwater. (paternal side) Cousins include – Shaun Brien, Leslie Brien, Shane Brien, Phylliss FireCrow (Dyron), Michael Brien (Karla), Bruce FireCrow, Jon FireCrow, Joshua Walkslast, Nevaeh Hart, Joseph Whitewolf Jr., Alice Whitewolf (Conrad), Jodi Whitewolf Heath (Todd), Tiffany Fitzpatrick, Fannie Fitzpatrik, Sarah Emigh, David Emigh, Cheyenne Emigh Conklin, Janelle Emigh Keller, Deanna Lynn White Crane (Abbram), Isaiah W. White Crane, Frank Tall Bull, Brandy Killsnight (Brian), Shaylene Killsnight, Reginald “Reasco” Killsnight, Randall Killsnight (Betty), Nichole Bigback, Heidi Bigback, Robyn Bigback Ruiz(Ulysis), Leslie Bigback Jr., Jeralee Bigback, Bonnie Tall Bull, Kim Brien, Diana Brien, Taylor Brien, and numerous nieces and nephews. (maternal side) cousins Angela Widdicombe, Deanna and Isaiah WhiteCrane, Christon WhiteCrane (Sonia), Jase Roe (John), Brandon WhiteCrane (Jennifer), Amanda WhiteCrane (Ike), Michelle Bone (David), LouAnn Mason, Clayton Mason (Lisa), Sarah Mason, Rene Reinhardt (Brad), Alex WhiteCrane, Erik Wolcott (Kelcey) Robert Foote, Ryan Foote, Terran Foote, Michael Foote Jr., and numerous nieces and nephews. Joshua is preceded in death by his dad Ronald Brien, grandfather Kenneth Phillip Brien Sr. AKA Buddy, Uncle Phillip O. Brien, Charles TallBull Jr., paternal grandmother Ella Walkslast Tallbull, brother Adrian Spotted Elk, and cousins Latisha J. Brien, Reva Redfox, Robert Foote, Michael Foote. Joshua was also a Godfather to Kaylyn American Horse, Carmen Caffero, Jessie Rogers, Clayton Clarence Mason. Joshua had numerous other adopted brothers and sisters, everyone he meet became his family. Special Grandmothers, Mae Monathey Eckman, Amy and Inez Foote and Nellie Speelman. We apologize if we have missed any additional family members, Joshua family is very large. TO THE FAMILY OF CLARENCE BRIEN, THE NORTHERN CHEYENNE CHIEF COUNCIL EXTEND THEIR MOST SINCERE CONDOLENCS AND PRAYERS FOR STRENGTH DURING THIS MOST SAD, SORROWFUL, AND MOURNFUL TIME FOR THE LOSS OF A BELOVED LOVE ONE. Eva and family I am so very sorry for your loss, Josh was a good soul, he was always smiling, going to miss that. Prayers to you Eva. Im so sorry to hear of your families loss. May your memories of your time together bring you comfort. Especially at this time do we need the comfort that comes from our Creator who promises to “comfort us in all our trials” (2 Corinthians 1:3,4) and to be our refuge (Psalms 142:5). With sympathy. Sorry for your loss. Deepest condolences in this hard time. Josh will be missed by all. Condolences to Josh’s family and friends. Josh had a special gift. He was able to bring people together through love. We all felt how much he loved us and that, in turn, made us love each other. It breaks my heart that we have to say goodbye to such a wonderful soul. They say the brightest lights burn out the quickest. We were blessed to have him in our lives, even if it was for just this short period of time. I will always remember how my brother made me feel. How he was always there for those that he loved. It’s our turn to be there for him. Be good to each other in this difficult time. Sending healing prayers up for those of us who will feel his absence in our everyday lives. Prayers for peace and love throughout the funeral planning, the ceremony, and especially the days to follow when we all have to figure out how to move forward without him. Our Thoughts and Prayers to the family, so sorry for your loss. Again, so sorry for Josh’s passing! So glad that I had a chance to meet him and visited with him when he went to HLC. And am so glad that my egg rolls was so popular to him 🙂 More hugs and love to you Eva! So very sorry to hear this! 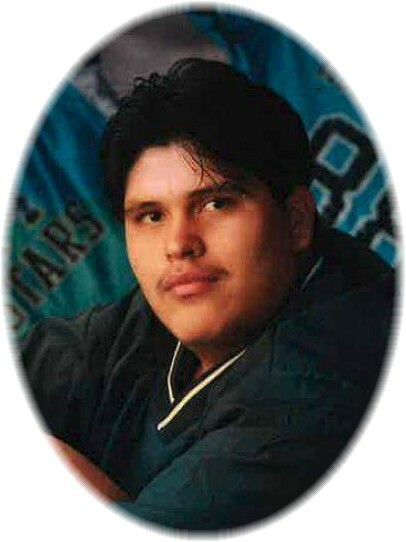 I had the privilege of teaching at Lame Deer from 1996-1999 and remember him as a polite and helpful young man. God bless you all! Prayers for Eva, my heart goes out to you. It’s very very hard to lose your child no matter what age. I’m so very sorry that you’re going through this. Prayers for you and your family. So sorry for your loss. I will pray that the Lord gives you strength during this difficult time. Josh had a smile that lit up a room. He was ready to visit and catch up on family. He was hopeful about his future, and encouraged everyone to be their best. He loved his family. Josh Brien was admired on both of his reservations the Crow and Northern Cheyenne. And, he was brave. I will forever be grateful to have met you. Rest in paradise my dear friend. Rest in Paradise our Dear friend, Jeremiah and I will always remember you, our deepest condolences to the family of Josh! May the creator wrap his arms around you at this tough time! Eva and Family, Lucy and I share your grief over the loss of Joshua. May the Lord guide and comfort you during this time. May you live as Joshua did! Josh was truly a kind soul. He always had good things to say about others, even during difficult times. As a young boy he was eager to learn, help others and to take care of his brother Buddy he was a protector. Josh was a proud yet humble young man. He enjoyed his Crow & Cheyenne families and making new friends wherever he went. Josh will truly be missed. Love you son. I am deeply sorry for your loss. Prayers & condolences go to the immediate family, auntie Eve Foote, our prayers are with you. I am so sorry to hear. Sending love and prayers your way. To the Brien, Foote, and extended families: please accept my belated condolences and continued prayers as you find a path forward. It is a shock to learn of his passing. Although I had not seen or visited with him in ages, I hold close and remember his kindness, never-ending positive energy, humor/teasing way, and hearty laugh. May you find rest and comfort with the ancestors Josh.